Leaded Lights for a Loft Conversion, Dorking, Surrey. 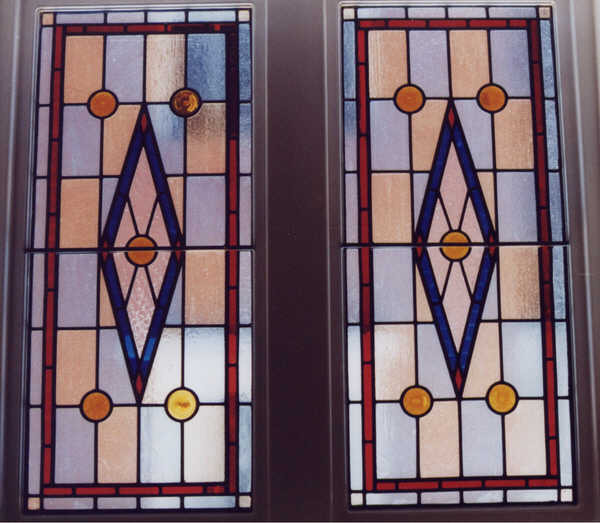 This pair of decorative leaded lights was made for a loft conversion. These windows are on the stairwell in a house where the customers have converted their loft. There were already a pair of windows on the first floor and I used this design to create a similar scheme and I adapted the lead pattern to fit, thus making it appear as if the upper floor was original to the house.